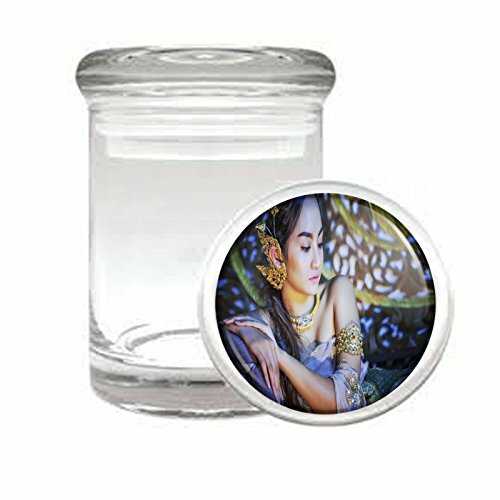 Medical Glass Stash Jar Thai Thailand Pin Up Girls Model S4 Air Tight Lid 3'' x 2'' Small Storage Herbs & Spices by JS & Caren at Thai City Deals. MPN: unknown. Hurry! Limited time offer. Offer valid only while supplies last. Perfectly sized 2'' x 3'' Glass Stash Jar with an air-tight seal. Will keep your herbs, spices, medicines, and other small knick knacks fresh and safe.